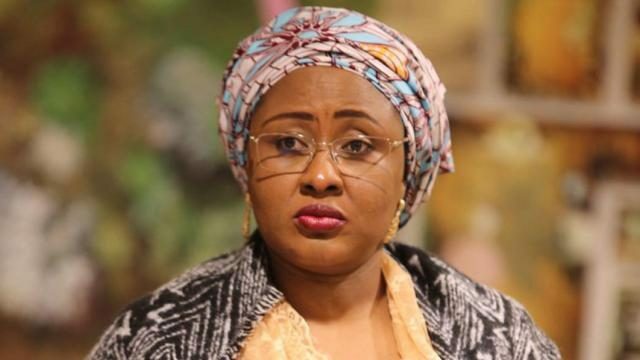 Aisha Buhari has come out to say she wishes her husband, President Buhari will have as many women in percentage as the Tony Elumelu Entrepreneurship Programme, TEEP, has in 2019. Speaking at the unveiling of the Tony Elumelu Foundation, TEF, entrepreneurs for the year, she thanked the focus of the foundation to guarantee more female participation. Her words, “The strategy vision behind the engagement of the office of the wife of the president is to contribute to the acceleration of efforts to end preventable maternal, newborn and child death through advocacy and strengthening of accountability mechanism in order to maintain the peace and development of Nigeria. “The steady advancement of women in contributing to the country’s social-economic development and their progressive prominence in the national scheme of affairs has in a large extent impacted on the Federal Government and the government has responded positively in many ways. “The Future Assured Programme of Aisha Buhari Foundation shares the same vision with Tony Elumelu Foundation to emphasise true intervention in health, education and economic development. “It is worthy to note that there has been a progressive increase in female participation in the Tony Elumelu Entrepreneurship Programme over the years, with a 41.6 per cent female representation in 2019. I wish the cabinet will have the same percentage. “Women have continued to prove their strength and competence in our society in all spheres, even in male-dominated — not in politics. Vice President Yemi Osinbajo and his wife, Mrs Dolapo Osinbajo showed up at an Interdenominational Service of Praise and Thanksgiving at their hometown, Ikenne in Ogun, yesterday. The service, held at Obafemi Awolowo Square, Ikenne, started with praise and worship with music from Buki Bekes. Speaking to the congregation, Osinbajo revealed that it was God’s will that ensured he and crew did not lose their lives after the crash helicopter. The vice president sang his favorite Yoruba song Oke Oke la nlo and some other songs while the congregation sang along. Osinbajo then prayed for those that attended, asking God to grant everybody’s heart desires and dreams. What Did Wizkid and Rihanna Really Discuss In L.A?